Alrighty, it’s only been a little over 72 hours since Princess Eugenie got married, and already conversations have shifted to Royal Baby News for the Duke and Dutchess of Sussex. Great for them, of courseeeee, and everyone who is still ultra obsessed (🙋🏻), but OMG, let’s give the newly-married Princess a little more time to shine, before we start showering Meghan and her little peanut. Happy baby shower vibes don’t come from stealing another bride’s thunder…. JUST SAYIN’!! In any case, we obviously loved Eugenie’s ceremony gown, but once we saw pics of her reception gown start popping up on Insta, we fell even more in love. Zac Posen is always fantastic and soo soo good for bridal, so we love that Eugenie tapped him for her party look. 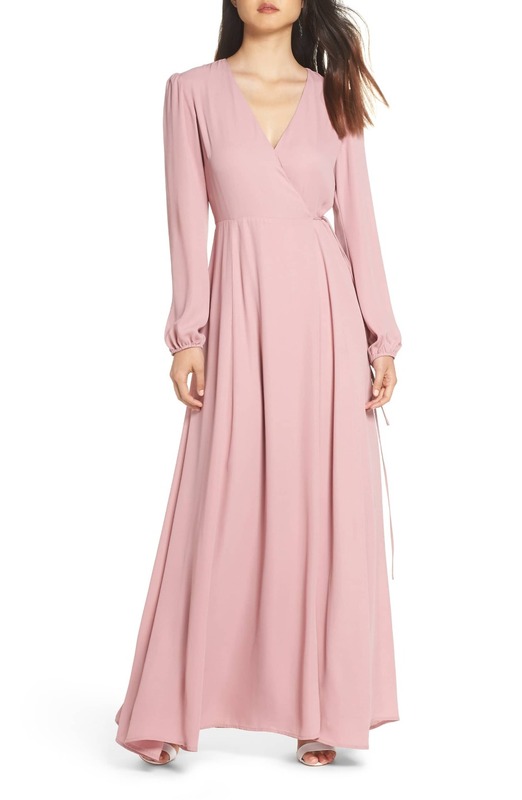 The dress was allegedly inspired by the beauty of Windsor and the surrounding countryside, zeroing in on a very specific motif - the blush of an English rose - for its color muse. The evening gown was confectioned entirely out of silk from a British mill, and it was embroidered and draped to achieve an even more feminine and delicate, yet powerful personification of the Princess. 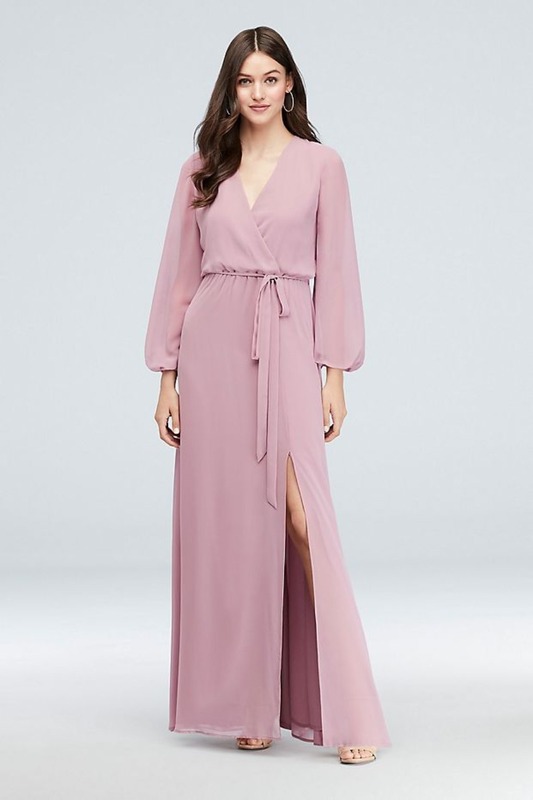 We’re totally into Eugenie’s choice to swap her ceremony look for Posen’s angelic and creamy reception creation, and definitely think more brides will be considering an ivory-to-blush transition for their own second looks, but even above that, we’re lovingggg the blush, sleeved look for bridesmaids! 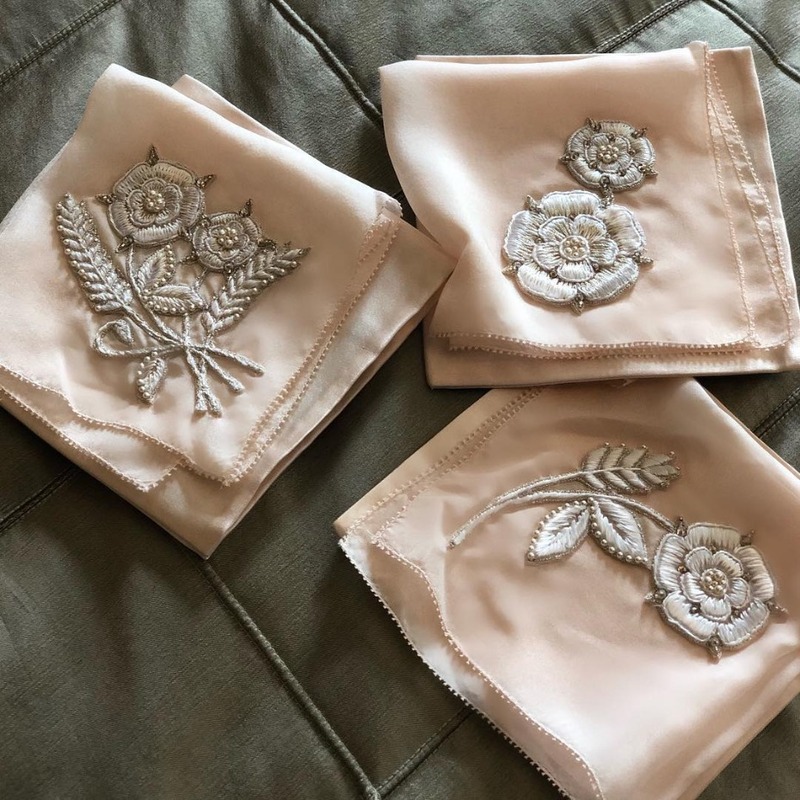 It’s such a sophisticated avenue to go in, and even though pink, blush, dusty rose, and all of its iterations have been in the basic bride’s playbook for years, evidently the trend is still going strrrrrrronngggg. 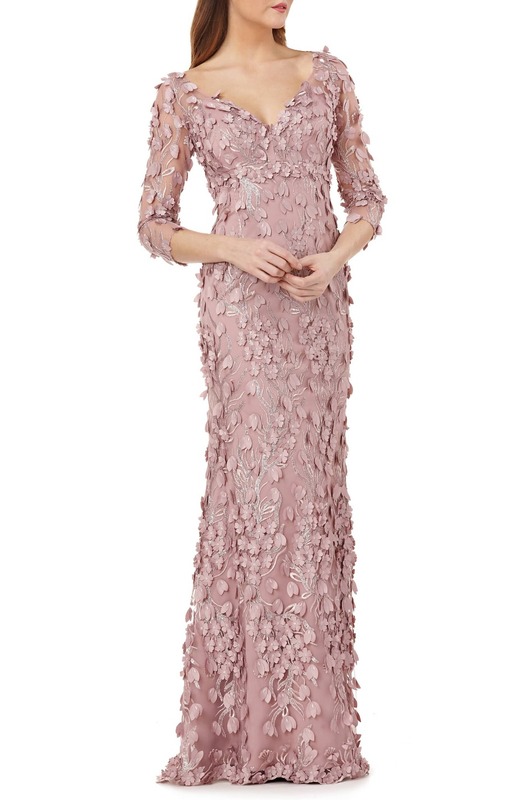 We scoured the internet to find some similarly-striking ensems to Zac Posen’s custom design for Euge. 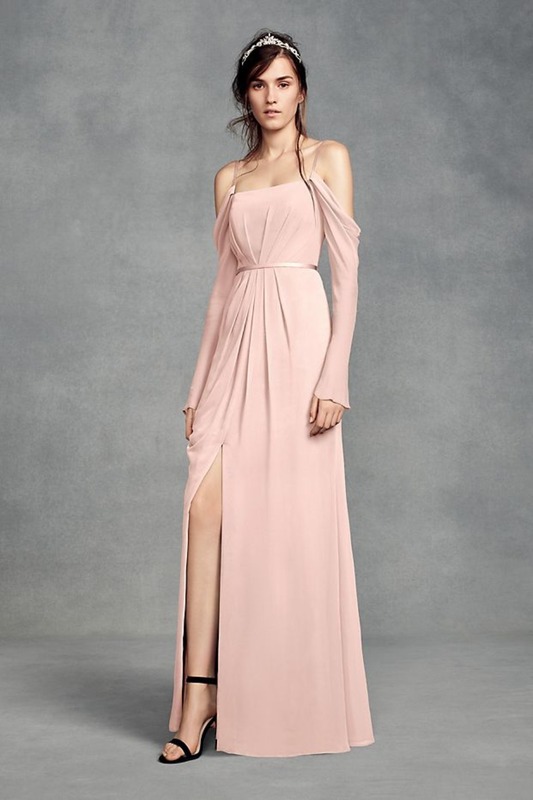 Since her dress wasn’t just simple and sleeveless, the options to match aren’t exactly cheap, but they’re for sure a hell of a lot less expensive than a ZP original. 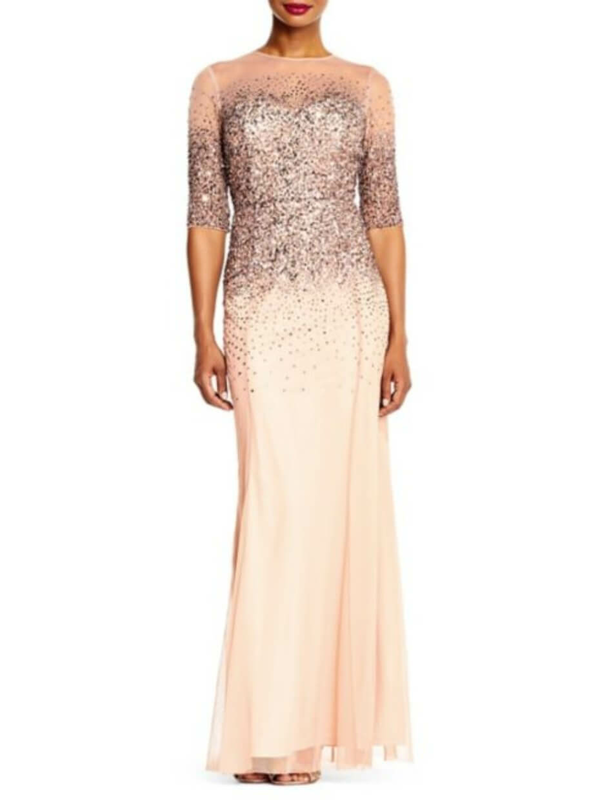 Not to mention, with any one of these gowns, the impact is so big that a second look is hardly necessary….